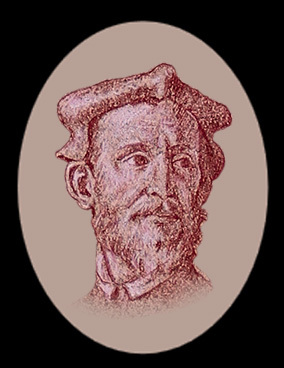 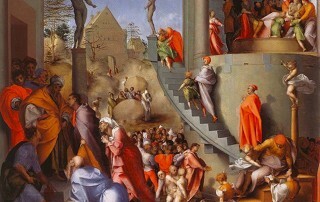 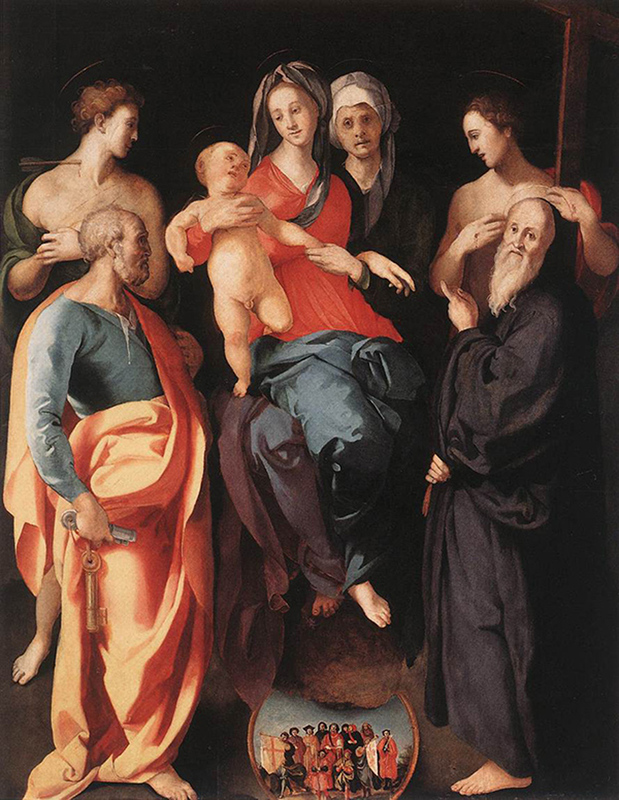 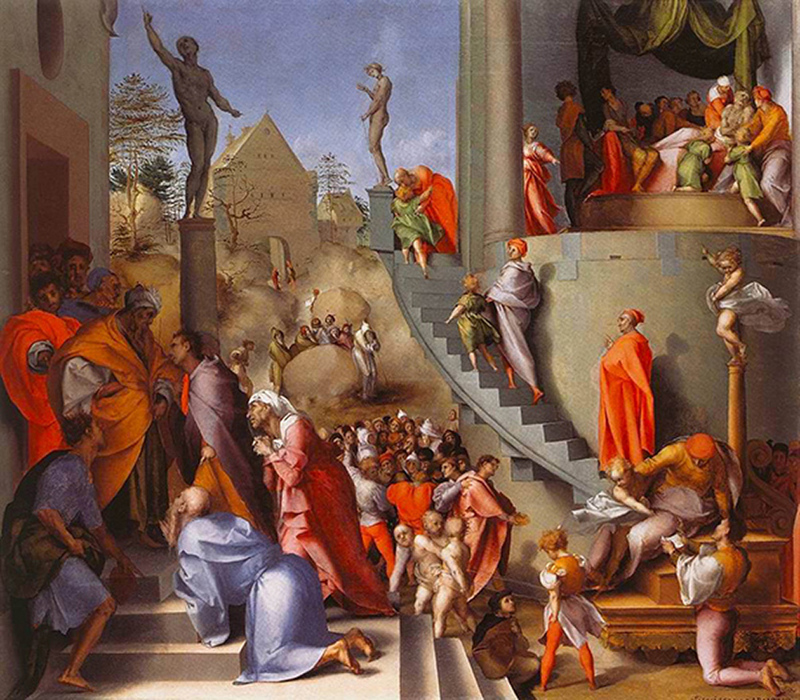 Jacopo Pontormo, born Jacopo Carrucci and orphaned as a child, took his name from his hometown of Pontormo. 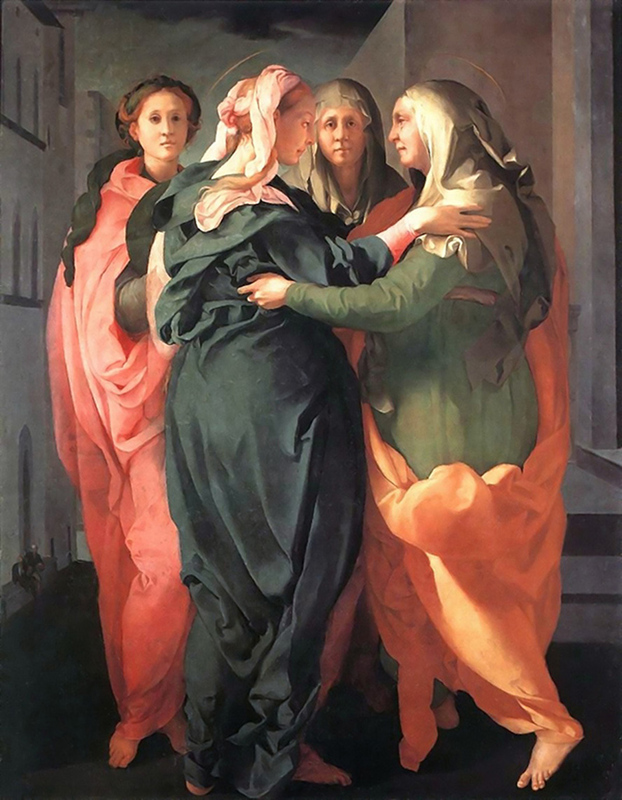 Raised by his grandmother until he was 14 and sent to Florence for training as a painter, Pontormo studied first with Leonardo Da Vinci, and then in quick successionwith Piero di Cosimo and Mariotto Albertinelli, and finally as an assistant to Andrea del Sarto. 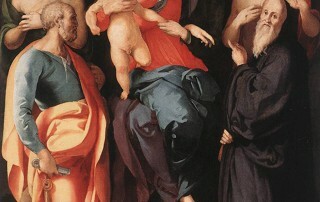 Before 16 years of age, Pontormo had absorbed the tranquil idealism of Leonardo, the flights of fantasy of Cosimo, the simplicity of Albertinelli, and the observational naturalism of Sarto. 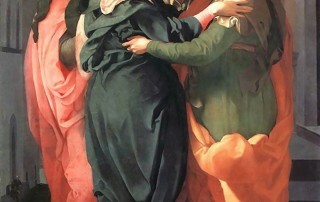 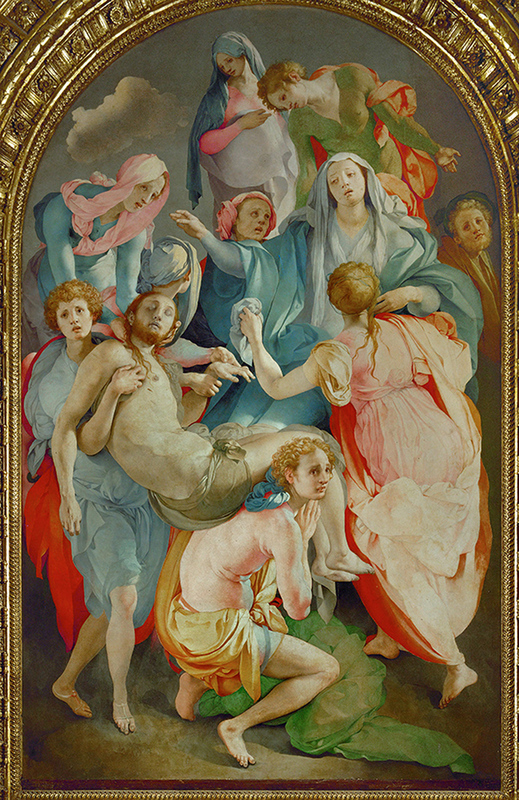 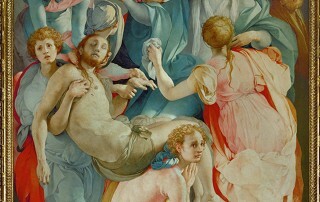 To this blend, Pontormo added high-key, brilliant colors, precise sculptural modeling, and graceful flowing line that made his many frescos and altarpieces for Florentine clients unique and distinctive.